If you have been injured in an accident due to someone else’s negligence, it can be overwhelming to try and decide on how to move forward. Enlisting a personal injury lawyer is the first step, but even that choice can seem confusing unless you have some idea about what to look for. There are certain characteristics to look for to ensure that your attorney is a good fit for you and your case. Expertise – Many people think that any attorney can help them with a personal injury case, but in reality, it is critical to seek out an attorney who specifically handles personal injury matters, instead of relying on your family’s real estate lawyer. In some cases, an attorney can actually land themselves in ethical trouble if they take on a case they do not have the ability to handle competently. Low Volume – It may seem counterintuitive, but attorneys with large practices can actually be more difficult to work with than those with a more narrow clientele. Lawsuits take time and energy to effectively manage, and if an attorney has a very high-volume practice, it is more likely that they will ‘farm out’ your case to a younger, less experienced associate, or even to a paralegal. You deserve the representation you sign on for. No Guarantees – This may also seem counterintuitive, but any attorney who makes a blanket guarantee as to a specific outcome is one to avoid. Given that no attorney can guarantee a favorable verdict, it is considered unethical to make a promise that implies they can. An attorney may promise to fight hard for you – indeed, a good attorney should! – but that kind of guarantee is within their control, and thus is acceptable to make. Local Knowledge – Judges and juries will be different in different areas, and it is important for your attorney to have a good grasp of the sensibility that will be common in the courtroom if your case has to go to trial. Tampa jurors, for example, are generally more progressive, which means that they will decide a case very differently than jurors in more conservative areas like Panama City Beach. Individual Rapport – It can be tempting to go with an attorney recommended to you by a friend or family member, but unless you have a good rapport with them yourself, it is a good idea to look elsewhere. A personal injury lawsuit can sometimes last months or even years, and your attorney must be someone with whom you can preserve a long-term working relationship, and unless you have a good rapport, that can become endangered over time. Can A Tampa Personal Injury Lawyer Help You? When you have been injured, you want an attorney who is honest, hardworking, and will keep you updated on the progress of your case. 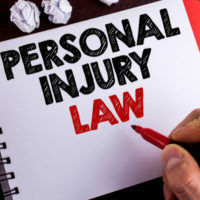 The Tampa personal injury attorneys at Rinaldo Law Group have been handling these types of cases for years, and are happy to sit down with you to help give you the best chance to recover for your injuries. Contact us today for a free consultation.